Yeh Hai Mohabbatein Shocking plotting. Ishita learns about the don’s identity. She realizes that the don Muskaan had kidnapped Kiran to compel Raman for transferring property. She threatens them that she can kill anyone. She gets Bala bashed up by her goons and doesn’t let any family member to come in between. 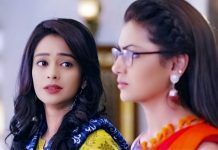 She doesn’t want Raman and Ishita to act smart. Karan realizes that she is the one who is after Bhallas. Yug begs her to leave Bala. Muskaan gets Kiran back and tells them that its her kindness that she has returned Kiran to them. She wants Raman to give the property legal rights to her, so that he can save his family. She gets mad for the property. Karan realizes that Muiskaan wants to teach Bhallas a lesson by snatching the property. Karan tries to befriend her and tells her that he is Bhallas’ enemies. He reasons out his revenge motives. He tells her that they both can help each other if they work together against Bhallas. Karan advises the Bhallas not to give the property to Muskaan. He tells them that they should handover the don to police by laying a trap. Yug, Ruhi and Aaliya feel that they shouldn’t have any enmity with the don. Raman and Ishita want to seek help from police. 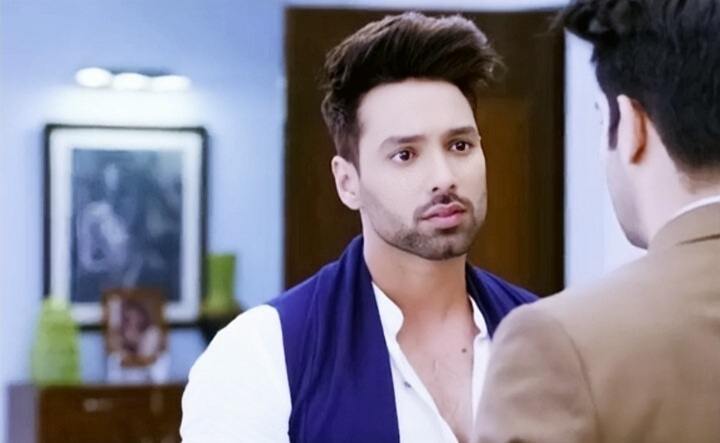 Yug asks Karan about his fake concern for Bhallas. He confronts Karan for his plotting against Raman and Ishita. Karan tells Yug that he is just wishing to free Rohan from Aaliya. He asks Yug to look after mentally unstable Aaliya. Yug gets offended when Karan insults Aaliya. Shagun meets Bhallas on learning the threatening chapter. Ishita discusses her plans against Muskaan with Shagun and Mani. She wants to expose the don’s planning in front of the police. Aaliya turns neutral towards Rohan. The Bhallas celebrate Holi in a calm manner. The peace soon breaks when Muskaan turns up at home to threaten them once again. She tells them that she has got the property transfer papers ready. Bhallas plan to trap her and act good. Karan learns their plans and wants to alert Muskaan about it. He doesn’t want Bhallas to win. He acts innocent and drops the spiked drinks intentionally. Raman yells at Karan for his mistake. Muskaan asks Raman why is he reacting in such a manner, as if he has added something in it. Ishita tries to lessen her doubts. Yug’s friends also get trapped with the Bhallas. Yug traps Muskaan by feeding her the spiked sweets. Ishita doesn’t know Yug’s plans and then realizes it. She doesn’t le anyone consume the sweets. Muskaan gets inebriated and starts falling in the trap. Ishita is happy with Yug’s move. She plans to get rid of Muskaan. Raman and Ishita plan a getaway so that they can spend time together and get a break from the tensions. They keep their destination a secret from the family. Karan finds out about their outing plans and informs Muskaan about them. He wants Muskaan to abduct them and torture them. Yug learns Karan’s evil plans and gets worried for Raman and Ishita’s safety. Will Raman and Ishita get kidnapped? Will Yug be able to protect their lives in time? Keep reading.